Aaron's Jewelry is one of the original gold buyers of the Roy, Ogden, Riverdale area. There are gold buyers on every corner these days it seems, so why sell to Aaron's Jewelry? The answer is simple. Trust. We have been in business since 1967 and the level of expertise you'll find at Aaron's Jewelry is unmatched. There are no guessing games. 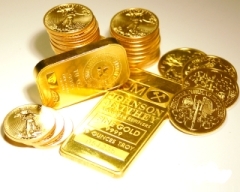 We will efficiently analyze your gold/silver/platinum, make you a fair and honest offer, and pay you CASH on the spot for any precious metals you decide to sell. If you happen to find a better offer elsewhere, once verified, we will do our best to beat it. Do you have jewelry with diamonds and other precious stones in it that you wish to sell, but you want to keep the stones? No problem. With our expertly trained staff, your stones will carefully and professionally be removed while you rest easy knowing there will be no accidental breakage or other damage to your stones. At Aaron's Jewelry we update our buying prices multiple times a day to ensure you get the most accurate gold payment possible, relative to the ever changing gold market. Don't run the risk of losing money on your gold. 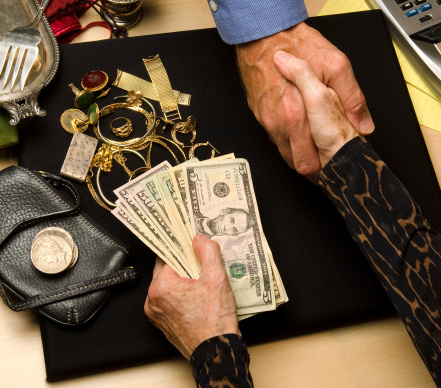 Bring it to the experts at Aaron's Jewelry where you'll be met with a smile, treated fairly, and leave with the cash you need.